We’re looking for 2 interns this summer! Summer’s is practically here! We’re excited to announce the launch of our summer internship program this year. 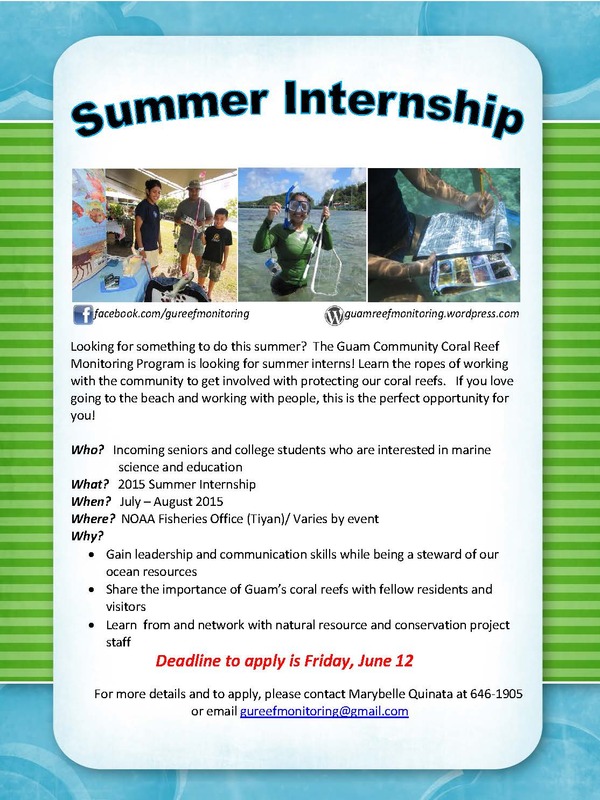 The Guam Community Coral Reef Monitoring Program is looking for incoming seniors or college level students interested in marine science & education to be our summer interns! This is a great way to explore the marine science careers, but with the added experience of working with community to share the importance of Guam’s coral reefs. A fun opportunity to gain some work experience and meet other people that care for coral reefs! See below for more details.